Due to the absence of predators and the availability of a wide range of nutritious foods, bearded dragons live longer as pets than they do in the wild. With proper care, you can enjoy the companionship of your bearded dragon from seven to 10 years on average. The longest-lived bearded dragons in captivity live as long as 12 years. Your bearded dragon will be healthiest and longest-lived when she has access to a fresh omnivorous diet that includes both protein and vegetables. Maximize her nutrition by providing a wide variety of foods, including leafy greens, squash, crickets, chopped meat, pinky mice and earthworms. 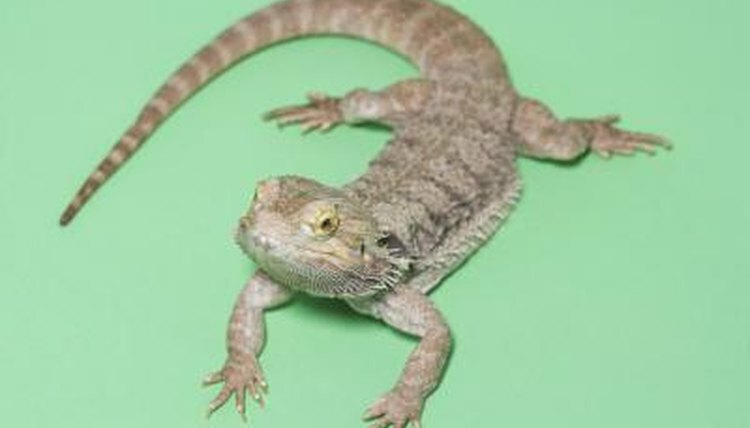 Breeding produces stress that shortens the life of a female bearded dragon. Keep your female separately from males to prevent unwanted offspring and give her a chance to reach her maximum life span. Pay attention to any abnormalities in your dragon's behavior, as this is often the only tip-off to diseases and disorders that can be potentially lethal.